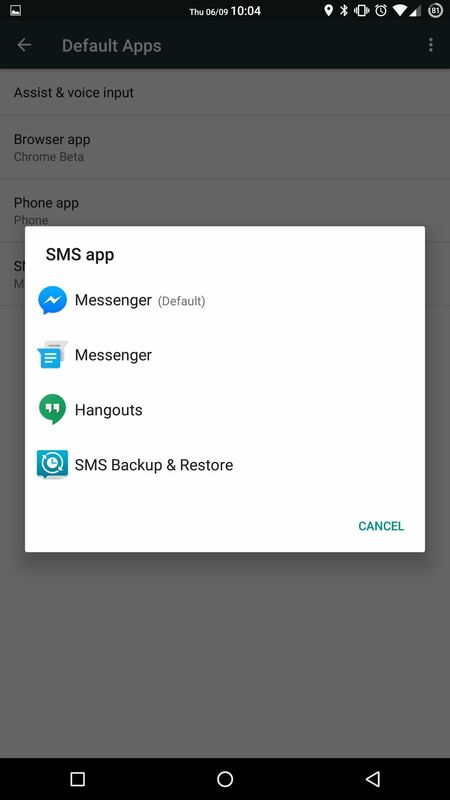 We've known for a while that Facebook had planned to reintegrate SMS and MMS into its Messenger app for Android. Well, it's finally live, and it's pretty great. 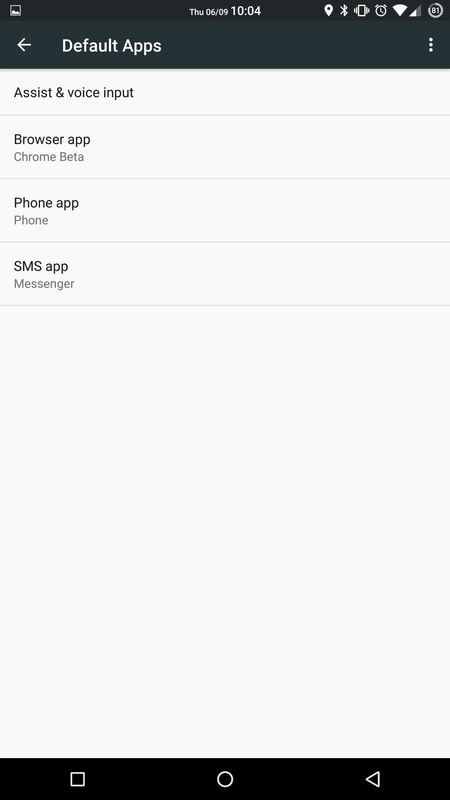 Once you have the beta installed, you'll need to go into your Settings app to change your default SMS app. This menu is located in different areas depending on the device you have, so the easiest way to get there is to use the search option within Settings. Search for "default apps," then choose "SMS app" and set it as Facebook Messenger. Once you've done that, go back into the Messenger app and you'll notice all your SMS and MMS conversation threads have been merged into your conversation list. 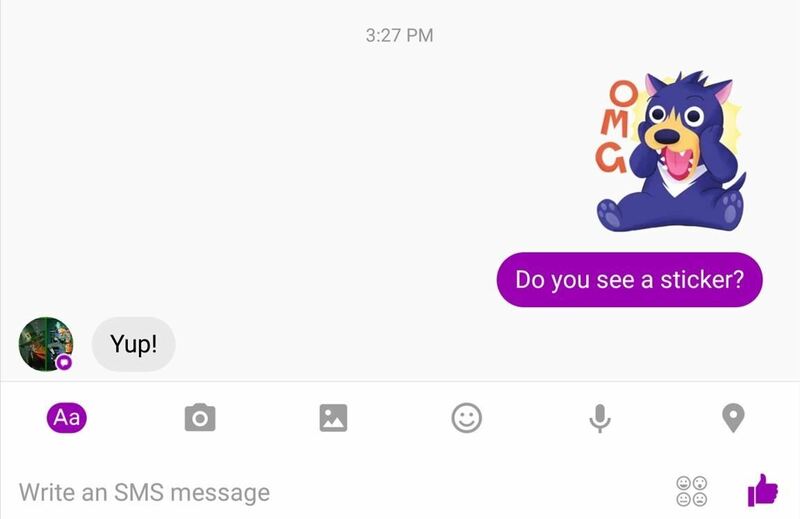 You can distinguish between Messenger and text messages using the icons; the former has the Messenger lightning bolt on blue, the latter a speech box on purple. Best of all, Messenger's unique features can be used with texts. You can send stickers, voice memos, thumbs up, and even your location. For someone like me that uses Messenger as my main messaging platform, SMS/MMS integration is clutch. One app for all my messaging, and it's feature-rich! Nope! Mine it doesn't have that "SMS" option in Settings even I'm on their Beta channel since a few months ago. So, not generally available. Sadly, you'll still need your phone for texts, as those won't show on the Facebook or Messenger sites. Though, the tech to make that happen is around, so I wouldn't be surprised if they were able to incorporate that in the future. The feature is only active once you turn it on. If you don't want it, just don't do anything. I absolutely love using this, however my texts (and messenger messages) don't show up on my locked screen! I have all of the appropriate settings turned on (in app and phone settings), but still cannot get it to work.